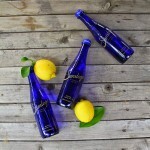 Hallmarks of exquisite refreshment for more than 140 years, the distinguished blue bottles contain premium spring water fit for sophisticated palates from around the world. Political and cultural dignitaries indulge in Saratoga Spring Water in elite venues, from the 2012 Presidential Inaugural Ball to backstage at Saturday Night Live. When famed British chef to the stars, Marco Pierre White, created his hit NBC show, The Chopping Block, he chose only the finest beverage pairings for the show’s menu. 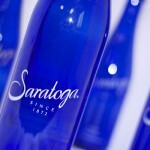 The bottled water of choice: Saratoga Spring Water. 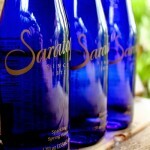 Indeed, Saratoga Spring Water is a hit with the celebrity chef set. Bobby Flay serves it in all his restaurants. 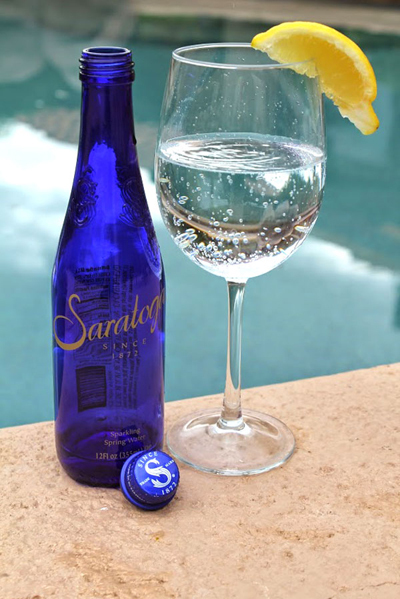 The only premium American water, Saratoga Spring Water is available in 38 states, at 5-star resorts and in other select locations around the world. 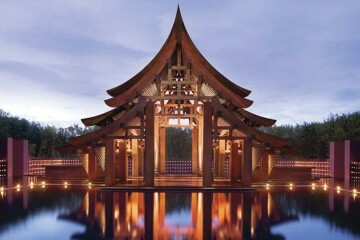 It is featured in luxury restaurants and grand hotels, such as the Ritz-Carlton, Four Seasons and Hyatt’s boutique Andaz Hotels. 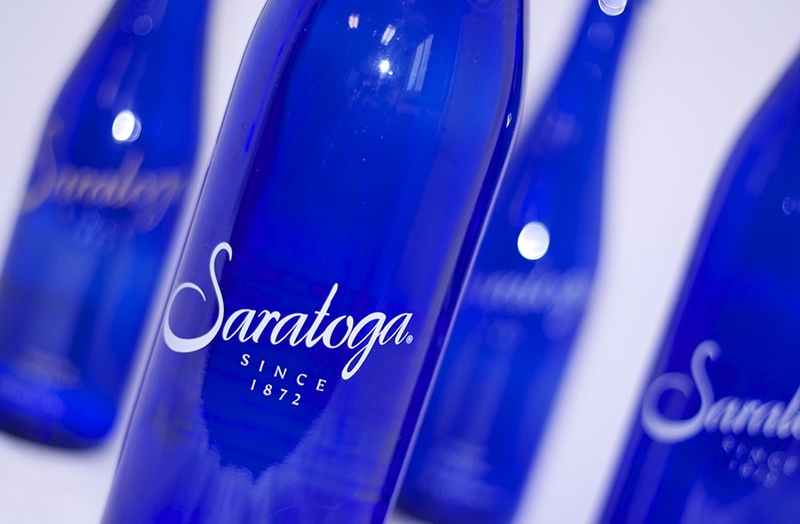 Those wishing to dine at home with Saratoga Spring Water can find the rich blue bottles at upscale merchants. 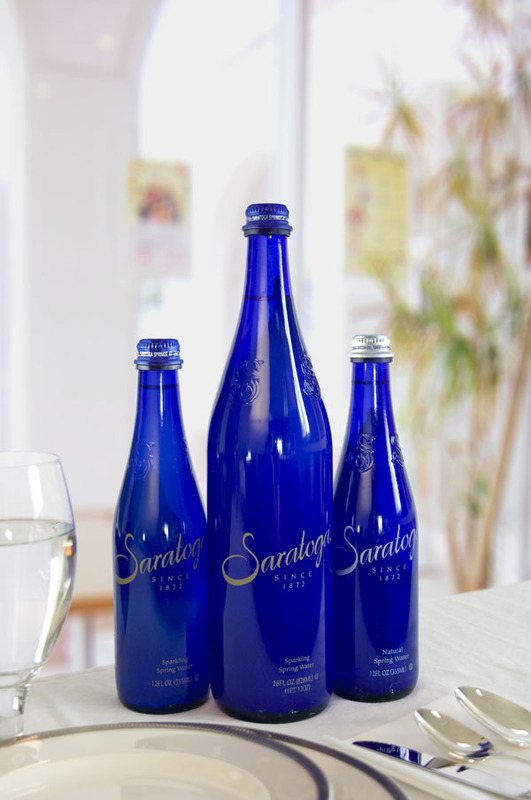 By satisfying the thirst of today’s cultured palates, Saratoga Spring Water continues an elegant heritage of exquisite taste and luxury that began in colonial times. Wounded in the French and Indian War, the Baron William Johnson, a British commander, was brought by Mohawk Indians to what they referred to as “the great medicine spring.” The spring and others like it in the area bubbled over with crisp, clean water believed to have healing properties. In the centuries that followed, the springs quenched the finest thirsts. With posh accommodations and decadent waters fit for royalty, the affluent town of Saratoga Springs, NY—the source of the springs to this day—became a lavish resort destination known as the Queen of Spas. 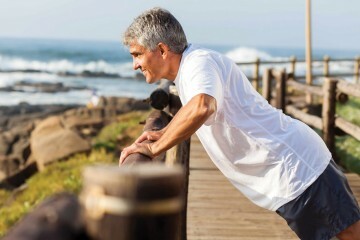 European aristocrats, stylish New York tourists and famed luminaries of film and stage would flock to Saratoga Springs to practice healthy living and imbibe the fresh flowing waters of the natural springs. Today, the products are still made from the finest spring water, bottled in award-winning packaging and guaranteed by the experience gained from its 140-year history. 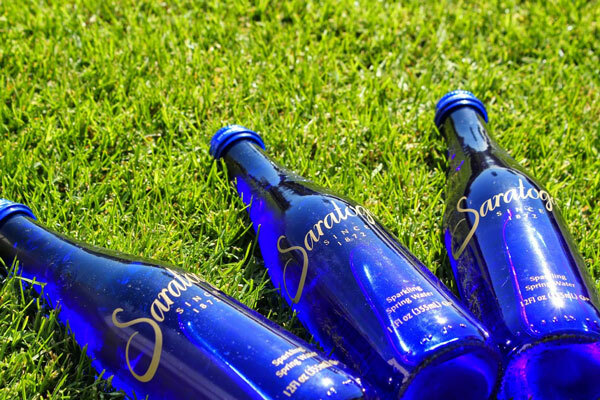 Available in natural and sparkling, Saratoga Spring Water is fresh and bottled at the source. 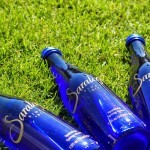 Saratoga Natural Spring Water sets the bar for premium domestic spring water. 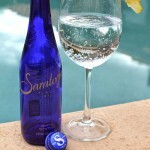 The crisp, clean taste and low mineral content make it a light and refreshing beverage for any occasion. 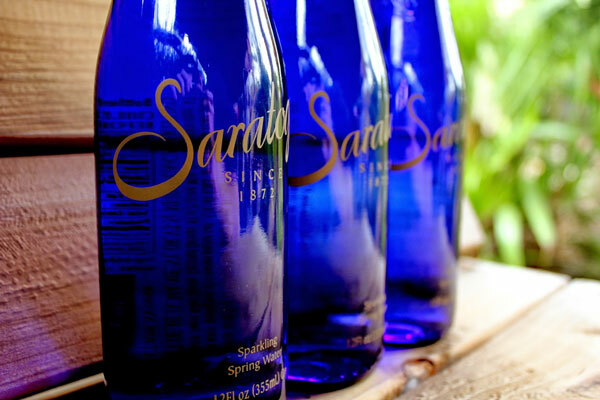 Saratoga Sparkling Spring Water is the perfect balance of light taste and just the right amount of carbonation. 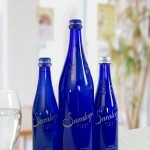 The champagne-like bubbles help cleanse the palate and complement the flavors of fine food and wine.